Crispin Glover is an American actor and director popular for his unconventional roles such as Layne in River’s Edge, George McFly in Back to the Future, The Knave of Hearts in Alice in Wonderland, Bobby McBurney in What’s Eating Gilbert Grape and Phil Wedmaier in Hot Tub Time Machine. The actor’s career has spanned decades, starting in 1977; and in that time, Crispin has built an enviable and dynamic career for himself. Crispin Hellion Glover was born on the 20th of April, 1964 in New York City. He is the only child of Bruce Glover and Mary Elizabeth Lillian Glover. Like Crispin, both his parents are actors. Crispin attended the Mirman School in Los Angeles up until ninth grade before proceeding to Venice High for tenth and eleventh grade and then to Beverly Hills High School for the twelfth grade, graduating in 1982. Even before graduation, Crispin already showed interest in his parents’ trade. He eventually got the lead in a stage production of The Sound of Music which led to other call-ups on TV shows like Happy Days (1974), Hill Street Blues (1981) and Family Ties (1982). His career took off and he made a name for himself by playing eccentric characters; he mostly gained international recognition for his role as ‘The Thin Man’ in Charlie’s Angels. Crispin Glover is not just an actor but is also a musician and an author, with between 15 to 20 books to his credit. While Crispin Glover has been in and out of relationships, the actor has never been married or had children. Presently, he resides both in Los Angeles and Czech Republic. Having entered the acting profession at 13, Glover made his film debut in the 1983’s My Tutor which gave way for roles in films such as Friday the 13th: The Final Chapter and Teachers. He, however, got his first big role in 1985 in the film Back to the Future where he played the role of George McFly, a father of the movie’s protagonist. In 1991, he featured in the film, The Doors, playing the role of the iconic Andy Warhol. He also played the titular characters in Bartleby (2001) and Williard (2003). In 2007, Crispin Glover appeared in the animated fantasy film Beowulf as the monster Gendel and in 2009, he voiced the character 6 in the animated Sci-Fi film, 9. And as a director, Crispin Glover made his debut with an unusual film – What Is It? in 2005 featuring actors with Down Syndrome. It was originally intended to be a short film but it took almost a decade to complete. The actor was able to fund the movie with earnings from Williard and the Charlie’s Angels films. The film was eventually premiered at the Sundance Film Festival in 2005. He later directed It is Fine! Everything is Fine! which was written by actor Steven C. Stewart. The film tells a story of the writer who was born with cerebral palsy and was kept in a nursing home for 10 years. Like the previous film, it also premiered at the Sundance Film Festival in 2007. Recently, Crispin Glover played the role of Mr. World in the American fantasy drama TV series, American Gods. In 1986, Glover received a Saturn Award nomination for Best Supporting Actor for Back to the Future. He was recognized at the 2006 Sitges-Catalonian International Film Festival and given the Carnet Jury Award for the film What Is It? The following year, he won the New Visions Award – Special Mention for It is Fine! Everything Is Fine!, also at the Sitges-Catalonian International Film Festival. While his recognition is limited on the Awards front, he has amassed a loyal and devoted fanbase. Considering his excellent career, it is not hard to see why the actor is so celebrated. 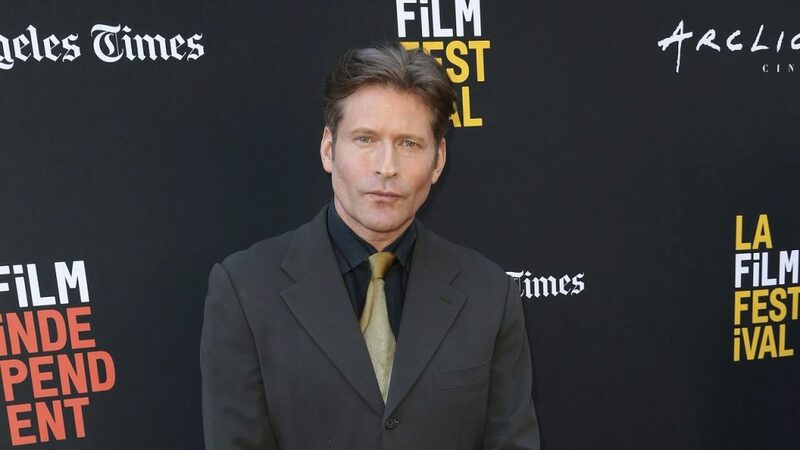 Crispin Glover has not started a family of his own yet; although the actor is hopeful that he would have a child of his own, whom he intends to shower with love and attention. Since he is an only child, his family life revolves around his parents, Bruce and Betty Glover. Crispin and his father, Bruce, have worked together on the set of films such as Simon Says (2006), It Is Fine! Everything Is Fine! and Influence (2015). The multi-faceted artist has a net worth of about $3.5 million. He amassed his wealth from his consistent presence in the film and music industry, not forgetting profit made from writing and publishing books.